Early detection of Autism Spectrum Disorder (ASD) can improve outcomes for children, yet the effectiveness and validity of universal screening methods has been questioned. Now, researchers have created a new framework to generate a valid early ASD screening method using a novel approach based on “face and content validity”. The first, very early social communication intervention for infants at high risk of autism shows promise to reduce the overall severity of early symptoms and a capacity to positively enhance parent–child social interactions. This article is a summary of the paper published in JCPP – Hybrid implementation model of community‐partnered early intervention for toddlers with autism: a randomized trial. 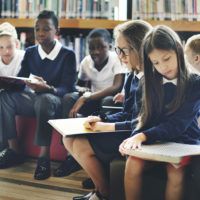 Children from low socioeconomic status (SES) backgrounds tend to have poorer language skills when starting school than those from higher SES backgrounds. Now, data shows that increasing the amount of “contingent talk”— whereby a caregiver talks about objects that an infant is directly focusing on — within an infant’s first year of life promotes a wide vocabulary later in infancy. 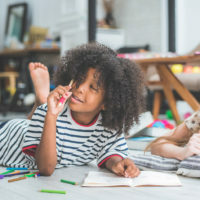 In 2017, the Journal of Clinical Psychology and Psychiatry published the latest results of the Surrey Communication and Language in Education Study (SCALES), in which Courtenay Frazier Norbury and colleagues investigated language growth and stability in a population cohort of children with varying degrees of verbal and nonverbal cognitive abilities and a wide range of additional diagnoses. The past decade has seen a rise in the number of international reviews of autism spectrum disorder (ASD) interventions, but confusingly, many of these reviews come to different conclusions or only assess selected forms of intervention. 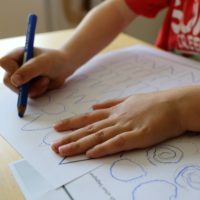 Rigorous screening for learning difficulties is required for adolescents with Autism Spectrum Disorder (ASD), as a significant minority of affected individuals with average cognitive skills show academic delays, according to a new study. Compensating for ASD: masking the truth? “Compensation” is a phenomenon by which individuals with Autism Spectrum Disorder (ASD) show improvements in overt symptoms, namely their understanding of others (“theory-of-mind”, ToM), despite persisting deficits at the cognitive and neurobiological levels.